As much as I love As the World Turns, at times I’m perplexed by who receives the best story lines or most screen time. As much as I love As the World Turns, at times I’m perplexed by who receives the best storyline or most screen time. Don’t get me wrong: there are characters that I am delighted to see remain at the forefront of the show and I believe they are integral to ATWT. And while it’s true ATWT boasts one of the most talented casts in daytime, there are some characters that don’t exactly float my boat. And when those characters are on-screen, I can almost certainly be found heading toward the refrigerator, or pressing the fast-forward button. Conversely, there are also those characters on ATWT that I believe aren’t used nearly often enough. And as the clock continues to tick on my favorite soap, I find myself saying more and more often the words all soap fans are known to mutter: "If I were writing this show…"
So if I were indeed writing for As the World Turns, there are a few characters whose presence would be seriously beefed up. First and foremost, Craig Montgomery needs to do more. Ever since he dumped Carly for Rosanna, his role has seriously diminished. 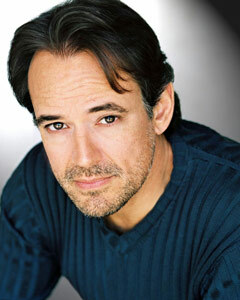 And not using as much of actor Jon Lindstrom as is humanly possible is just plain criminal. As much as I love Carly Tenney (and I really truly love her) Craig needs to have a way bigger role than simply chasing after Carly. Jon Lindstrom has an ease with this role that I truly relish and I believe he’s made Craig Montgomery his very own. His version of Craig, while still somewhat diabolical, has found his human side again, and that’s the Craig I grew up watching. But Lindstrom has also infused his Craig with a wry, ironic sense of humor that is smart, sophisticated and very uniquely his. And this multi-dimensional Craig needs his own love story, with a female character that’s not simply "settling" for Craig. If I had a say, I’d be writing him a true love of his own, pronto. It’s also a shame how the veteran cast members on this show are, for the most part, neglected. ATWT has one of the most gifted veteran casts around. But when they’re seen at all, it’s usually in some inconsequential manner and almost never as the central character in a plot line. Has anybody seen much of Lisa lately? Or Susan? Or Lucinda? And it doesn’t really count when their only action is to console their daughters or make another pot of coffee. I’d love to devise some plot points that utilized the considerable talents of these under-used cast members. Why can’t Lucinda Walsh get a real story of her own? Elizabeth Hubbard can make a phone book interesting and the waste of a talent as huge as hers is one example of why ATWT has struggled for the past few years. Margo and Tom Hughes fare a bit better in the screen time department, but even they don’t get their own story. Margo usually shows up on-screen about the time someone needs to be arrested, and Tom, who supposedly quit the DA’s office to spend more time with his family, is now almost always AWOL at family weddings and holidays. What’s up with that? I’d make sure these two legendary characters, who are also one of the original Super Couples, got a little of the respect they deserve. And I can’t be the only loyal viewer who misses the satisfaction and significance of some regular air time with the long-time residents of Oakdale. Conversely, there are a few characters I’d be more than happy to relegate to the back burner for a while. Characters like Alison Stewart. I’m afraid I have never understood the appeal of this character, and feel ambivalent towards her at best, and bored senseless at worst. Consequently, a break from Alison would be a blessing for me right about now. To me, Alison comes across as a rather humorless, bordering on downright dull, character. And much to my surprise, I actually really enjoy Billy Magnussen’s portrayal of Casey Hughes. This version of Casey is a bit of a lovable goof and Alison is just a killjoy for him, with her solemn and somewhat grim nature. Similarly, I could do with a little less Lily Snyder Grimaldi. I am so tired of the whole Lily/Damien/Holden triangle. It’s a weak storyline, in my opinion, with very little believable motivation for any of Lily’s actions over the past year. And how many of her husbands are going to be presumed dead, but not actually be dead? If I got to write Lily’s story, I think I’d have her take another rehab break. And in her place, I’d let Molly and Holden explore their relationship. They’re a lot more fun to watch right now and I think they share bucket loads more chemistry then Holden does with NuLily. But the character that I’d give the biggest pass on has to be Meg Snyder. Both the current, and past, writers have had this completely baffling affection for Meg and they continue to give her front and center storylines. But I’m just not buying what Meg is selling. In recent years, she became this revamped model, full of a holier-than-thou attitude. And that’s when I really lost interest. As such, I have hated her with Craig, I have hated her with Dusty and I have hated her with Paul. In fact, I like Paul Ryan so much better with Emily Stewart, that I’d make sure Paul and Meg never had the chance to reunite. To that end, I’d just keep her in the Deerbrook Sanitarium for a good long while. Maybe Meg and Lily could get a group discount? Happily, many of my favorite characters enjoy ample screen time in interesting storylines. But ATWT has a clock ticking in the background these days, and I find myself growing more and more impatient with the characters that don’t hold my interest. Having said that, I realize that my least favorite characters are someone else’s favorites and those viewers hear the same clock ticking that I do. And so I’m afraid none of us will find a happy ending as there can’t possibly be enough time to finish telling all the stories of As the World Turns, not only for my favorites, but for everyone’s.